Reducing water consumption has become more important than ever. This is especially true in areas that experience frequent or long term drought conditions. Many property managers find themselves under water use restrictions or increased prices on water overages. The good news is that there are many ways to reduce water bills that are not occupant dependent. Optimize Flow: One of the major unseen water wastes in a home occurs due to old, water dependent equipment and pipes. 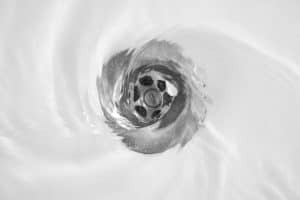 While updating your property’s plumbing and water dependent appliances can be a major investment, it also can create big savings in the long run when factoring in water bills and added value to your property. Rain Man: Collecting rain can seem like a complicated and seemingly unnecessary thing to do. However, rain collection is gaining traction with increases in drought spells and duration. Collected rainwater can serve as a vital supply for your landscaping. This can be especially useful if you fall under water restrictions by your water company during a drought. Check out this useful page on Wikihow detailing how to set up a rainwater harvesting system. It’s relatively simple and can provide for years to come. The Great Outdoors: A beautiful, lush green lawn throughout the year is appealing but it also serves as one of the single biggest sources of water waste and expense. Check to see if your county offers rebate programs for switching to drought resistant landscaping. If so, that can be an added incentive. You can also update sprinkler heads and adjust watering schedules as a quick and easy way to optimize how much water goes to the lawn. For other landscaping options, focusing on native plants can help reel in water use. Research which plants are naturally found in your area and plant them in place of non-native species. Plants that grow wild in your region will be less watering dependent as they are more apt to thrive off of the natural rainfall. Another attractive option is to explore the world of succulents. These are drought resistance plants that come in a variety of colors, sizes and textures and can really add panache to any landscape. Skip the Drip: Even with newer plumbing, leaks crop up from time to time. Even more challenging than a leak itself is knowing if you have one. First, check fittings under sinks, behind toilets and your outside taps. Some fixes are as simple as a few turns of a wrench, while others may require a new fitting or new pipes all together. Even more challenging and costly however, are the leaks that you can’t see. Afterall, so much of a plumbing system is unseen. Leaking pipes left unaddressed can lead to water damage and worse, subsequent mold. These are the leaks that result in costly repairs and unhealthy living conditions. Before you see a dripping ceiling or smell a musty bathroom, consider looking to new technology to help you avoid disaster. AquaTrip is a permanently installed system that constantly monitors the entirety of a building’s plumbing. AquaTrip saves money by curbing potential water damage, reducing excessive water bills and controlling the potential for mold overgrowth. You can learn more about AquaTrip by visiting buyaquatrip.com or call 1-844-4-AQATRP to find out how you can join the Pilot Program for savings up to 50% off!